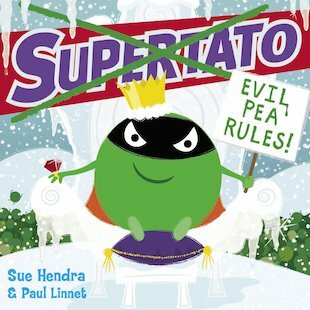 The cheeky story of Supertato’s small green nemesis. Psst! Here’s a secret. 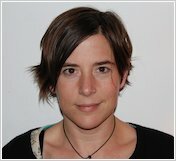 Stories need heroes – but they also need villains to cause chaos. Step up the Evil Pea. He’s not big, but he sure is bad. And now he’s BACK – on a naughty mission to take over the supermarket! Does your favourite jacket spud hero have enough eyes to spot what he’s up to? Is Supertato’s veggie army ready to take this rogue pea down? Laugh aloud at this tasty treat from a super-silly series: a celebration of the good guys – and the bad guys who let the heroes shine!